The isolated crystals are very rich with faces, very sharp, translucent and have nice color. 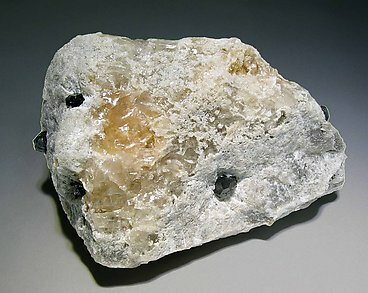 There are on a matrix of grayish-white Anhydrite with orange Halite. It is from a recent find of a higher quality than usual for this locality.